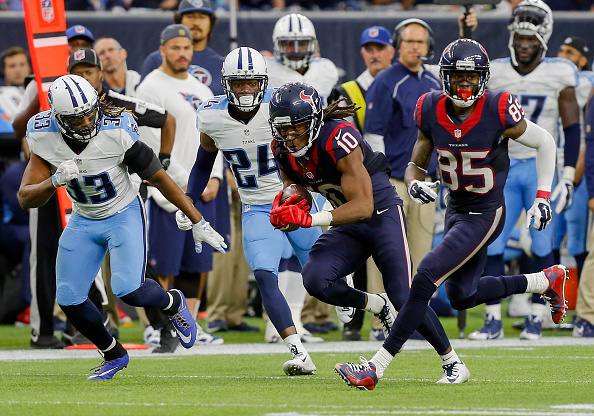 After a solid home effort last week in a 10-7 loss to the Atlanta Falcons, this week the Titans were no match on the road against the rival Houston Texans, falling 20-6 to drop to 1-6 on the season. 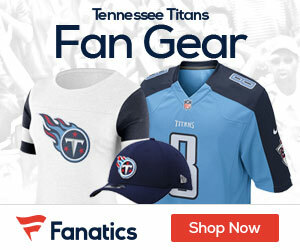 The Titans haven’t seen a ‘W’ since their opening day blowout of the Tampa Bay Buccaneers in Tampa. Since then it’s been inept play on both sides of the ball, and that again reared its ugly head on Sunday. ”It’s hard when you lose one game, much less what’s happened the last six,” coach Ken Whisenhunt said. The Titans led 3-0 early after Ryan Succop made a 35-yard field goal on their opening drive, but that seemed be the highlight of their offense, as they ended the day with 211 yards despite holding the ball for 31:08. Zach Mettenberger got the start at QB again for the Titans for the injured Marcus Mariota, and was 22-for-31 for 171 yards with a pick as well as he lost a fumble. The Titans on the day committed three turnovers, to zero for the Texans which was a key in the setback. The offensive line for the Titans was no match for the Texans, as on the day Mettenberger was hit 14 times, and sacked 7 times. The two Texan defensive ends had their way with the Titans, as J.J. Watt and Whitney Mercilus had six of Houston’s seven sacks and 13 of the 14 hits. Lewan, who has been fighting injuries, allowed at least two of the sacks, and rookie tackle Jeremiah Poutasi was also beaten several times. The Texans scored on two Brian Hoyer TD passes, the first to DeAndre Hopkins from 21 yards out, and the second to former Titans WR Nate Washington from 42 yards out to make it 17-6 late in the third quarter. The Titans will be back at it next week as they travel to play Drew Brees and the Saints next Sunday in New Orleans. And now we see again why Houston ran these losers off. You can take the Oilers out of Houston, but you can never take the Oilers out of the Titans. Pretty soon, they’ll leave Nashville and become the San Antonio Oilers. Wait and see.